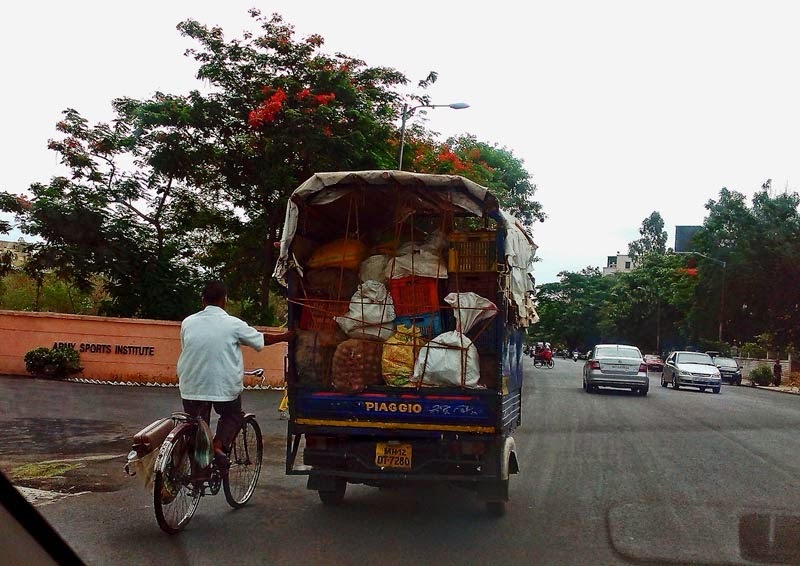 A common sight in India is to see cyclists holding on to motor vehicles so that they can speed along with it. The traffic police either cannot see them or turn a blind eye. In any case even if they are caught, they are simply reprimanded. It is not considered dangerous enough. Or I suppose it is dangerous only for the cyclist, no one else. 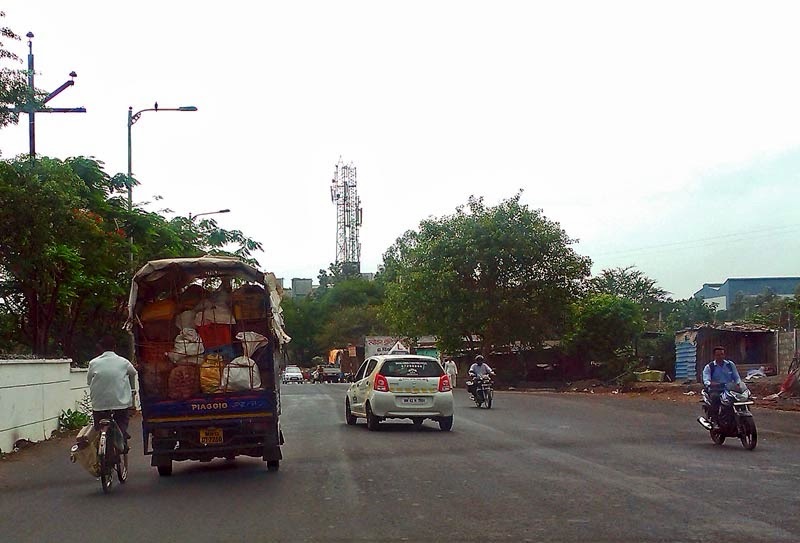 These photographs were taken through the windshield of a car. Here the cyclist is trying to catch up with the speeding van ahead of him. Here he managed to do it! When we overtook we realised it was a middle aged man, oblivious to the risks associated with this mode of travel. The tempo is carrying commercial goods for sale in the marketplace. Vegetables like onions and potatoes. Check out other images filed under the label of Transport or any other labels under this post.